Miretti is the World Leader in explosion protection solutions. As of May 2017, WOMA (Australia) Pty Ltd is the exclusive OEM for Miretti in Australia, New Zealand & Africa. Conversions are available in electric and diesel for fixed and mobile plant installations and exhaust fume purification. Miretti explosion protection solutions are proudly active in the Mining, Oil & Gas, Shipping, Marine, Petro-chemical, Aviation, Defence and Material Handling Industries. “Over the last 10 years we have specialised in the design, production and manufacturing of specific solutions for industry. By drawing upon global expertise and applying consultative local ingenuity, we have developed solid and reliable systems for industry with a specific expertise in robotics and hazardous (Ex) zone solutions for the offshore oil and gas industry, technologies for mining, municipal services maintenance and in the shipping and marine sector.” stated Ian Blevin, MD of WOMA Australia. WOMA are a customer focused organization, ISO 900l certified and with over 30 years’ experience in the oil, gas, mining, marine and environmental service industries. They have many years’ experience in the supply and service of explosion proof diesel engine and electrical equipment according to ATEX, ANZex, IECex, UL/FM standards. They recently relocated their Perth HQ to the Australian Marine Complex in Henderson, WA and subsequently invested in new R&D, manufacturing, test and training facilities. 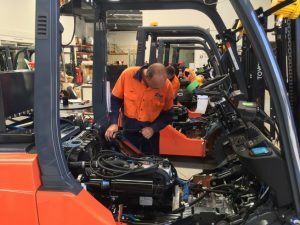 They offer their customers a complete service across the Australasian markets including through their workshop and service support facilities based in Smeaton Grange, Sydney, New South Wales. 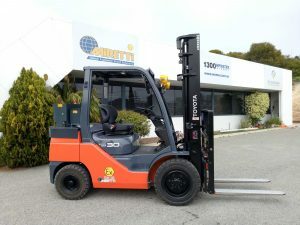 “This strategic partnership facilitates the intent for us to offer industrial conversions in both the Perth and Sydney works with certification under the Miretti QA system and the additional supply route for conversions in Miretti Italy, USA and China” offered Matteo Stefanini, Miretti Global Sales & Marketing Director. WOMA (Australia) is working within the direct supervision of the Miretti Group ISO and ATEX (IECEx) quality systems and has the capability to perform local explosion proof conversions and provide service for the full range of Miretti products. The appointment of WOMA (Australia) supports the Miretti business plan for ensuring that the very latest Miretti technology is made available to all customers. 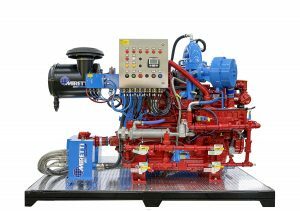 It also supports the need for improving the quality of local manufacturing and services in Australia to the same level of quality Miretti group supplies globally to OEMs via Miretti manufacturing centers in Europe, USA and China.